A GoFundMe for Nico Mallozzi, fifth from the left, who is believed to have died from a starin of the flu, Sunday, Jan. 14 has been set up and as of Tuesday has raised close to $70,000. NEW CANAAN — As the town continues to deal with the tragic death of a popular 10-year-old, New Canaan’s director of health has confirmed pneumonia brought on by the flu to be Nico Mallozzi’s cause of death. According to Dr. David Reed, Mallozzi accompanied his hockey team, the RoughRiders, to a tournament in upstate New York over the weekend. “Nico was not feeling well but wanted to go to Buffalo with his team,” the New Canaan director of health said. The New Canaan 10-year-old did not participate in the tournament and when his condition worsened, he was taken to the Women & Children’s Hospital of Buffalo. Reed said his family decided to return home Sunday but only made it as far as the Catskills region before Mallozzi took a turn for the worse. He was taken to a New York hospital where he was later that day confirmed dead. Reed said the New York medical examiner’s office determined the flu, complicated by pneumonia, led to sepsis, which was the cause of death. He also said Mallozzi was otherwise healthy. Mallozzi’s brother also tested positive for Type B flu, Reed said. Given the flu connection, New Canaan schools are taking extra precautions. New Canaan schools were closed on Monday for the Martin Luther King holiday, but a gathering was held at West School, where Mallozzi attended, to provide support and information for parents and students. Meanwhile, both New Canaan and the surrounding hockey communities are rallying around the Mallozzi family. A GoFundMe created by a hockey friend Monday night for the “Nico Mallozzi Memorial Fund” raised over $68,000 as of noon Tuesday. 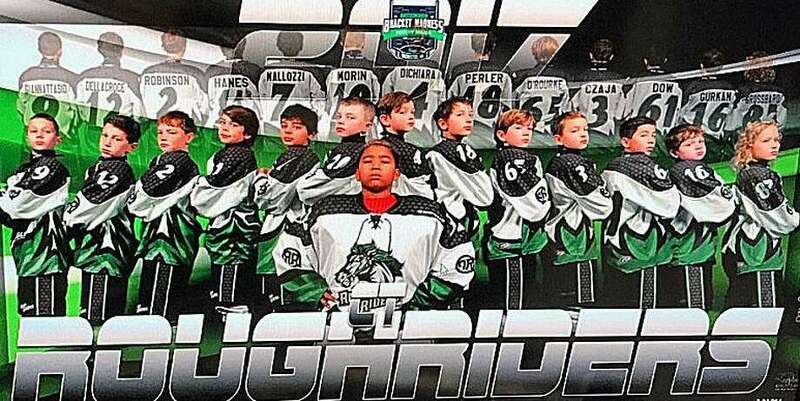 The Connecticut RoughRiders Hockey Club, where Mallozzi played with the 2007 team, announced on their website that a grief counselor would be available for parents, platers and coaches on Tuesday. The club also posted a message on Jan. 16, announcing that effective immediately, the club would be taking special precautions because of an increase in cases of the flu across the state. The statement asked players not share water bottles, keep their gloves on during handshake lines and not attend practice if they’re experiencing flu symptoms. “We always went by the book and by what the state said regarding the cleanliness of the rink,” said Ryan Hughes, founder and managing partner of Sono Ice House where the Connecticut RoughRiders practice. 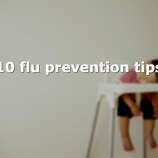 “We’re reiterating to people about taking extra precautions and for people to get their flu shots. Hughes said Malozzi and his siblings played with the club and he knew them from that. Other rink employees also were feeling the loss on Tuesday afternoon.